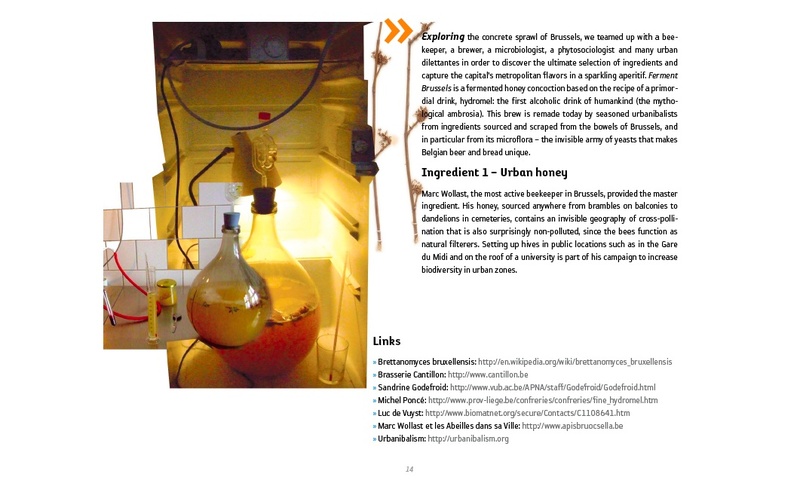 Open sauces is the book that bound together the research, recipes and “toast” contributions of an experimental tasting dinner of the same name organised by FoAM in Brussels November 2008. It is designed as a scrapbook – a “common- place book” in the parlance of earlier centuries – and a book of commons. Commons, a term denoting shared public resources, can be traced back to the sharing of provisions, of rationing limited amounts of foodstuffs to feed a whole community. 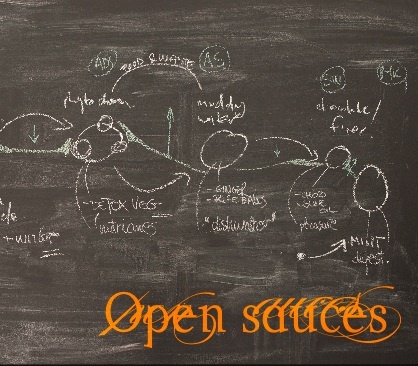 Similarly, Open Sauces offers bite-sized morsels of diverse aspects of contemporary food culture – whether curious infor-mation, case studies, or specific techniques – to feed a diverse group of readers. Edited and published (hard copy and digital) by FoAM, Brussels, October 2010.